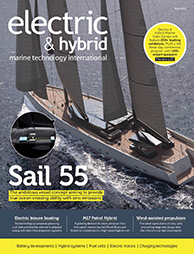 Newmar, a manufacturer of DC power products, is supplying battery chargers for a new fleet of passenger ferries operating in New York City. The 85ft-long identical aluminium catamaran vessels were designed by Incat Crowther and have been built at two Gulf Coast shipyards, Horizon Shipbuilding and Metal Shark, for Citywide Ferry by Hornblower, which operates the ferry network for New York City. 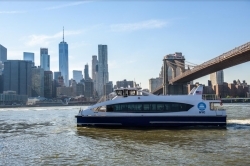 The first of the New York City ferry vessels’ first three routes were inaugurated in June. The full network will be operational in 2018 and is expected to carry 4.6 million passengers per year from 21 landing sites.